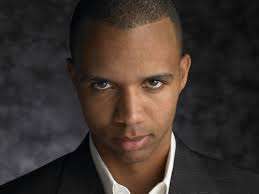 The attorneys for prominent professional poker player Phil Ivey has filed a motion to dismiss a $9.8 million lawsuit filed by Atlantic City, New Jersey’s Borgata Hotel Casino & Spa. In its lawsuit, filed in April, the Borgata has alleged that the “edge sorting” technique employed by Ivey and his companion, Cheng Yin Sun, was a form of cheating and that the Borgata should be able to recover the total of Ivey’s collected winnings. Ivey won the $9.8 million at the mini-baccarat tables during four separate visits to the Borgata spanning several months in 2012. In yesterday’s motion to dismiss, filed by Ivey’s attorneys, Edwin J. Jacobs, Louis M. Barbone and Eric H. Lubin of the lawfirm Jacobs & Barbone P.A., several countering claims are made, including the assertion that any statute of limitations has already expired. Ivey’s attorneys also noted that while the Borgata acceded to a number of special requests made by Ivey, the Borgata itself imposed special conditions, including the ultra-high table stakes (bets of tens of thousands of dollars per hand), and increasing, mandatory deposits of front money that ranged from $1 million to $3 million for each of Ivey’s visits. Also, Ivey’s attorneys noted that requests made during the game play — such as the rotation of certain cards — were requests only (emphasis Ivey’s attorneys), and were voluntarily acceded to by the Borgata and its employees, in accordance with New Jersey casino and gaming laws. The dismissal motion concluded by asserting that edge-sorting is clearly legally under New Jersey casino statutes, by closely linking it to card counting. The New Jersey DGE has examined card counting (a blackjack advantage technique) but has refused to date to declare it a form of cheating.